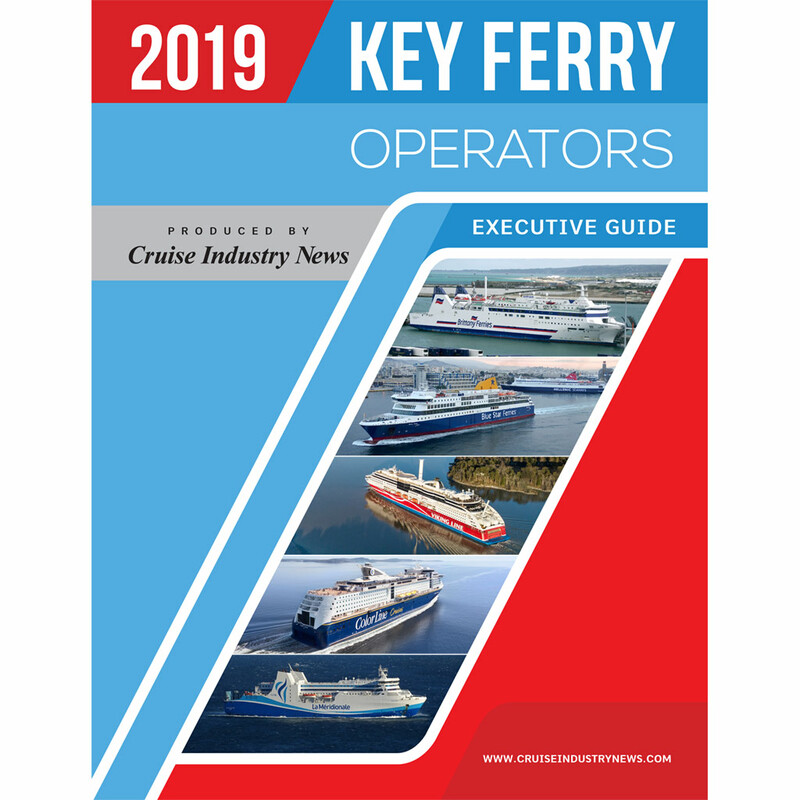 A comprehensive executive guide and who's who of the global ferry market, providing contact information and senior level decision makers at the key ferry companies. 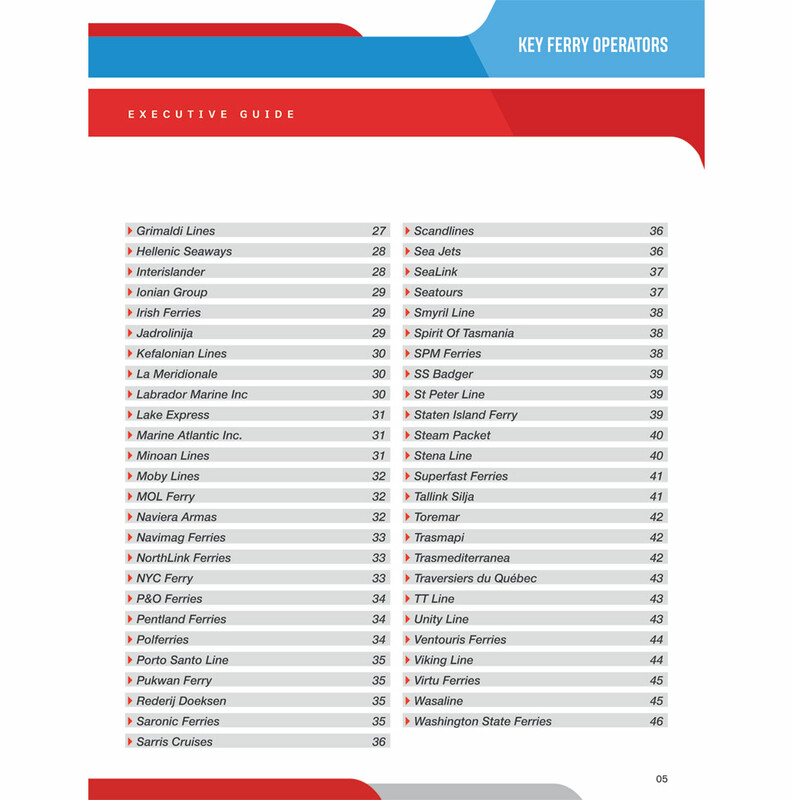 All the contacts at the major ferry companies at your fingertips: Addresses, key executives, emails, websites, fax and phone numbers of all the key ferry lines throughout the world. Wide-ranging executive contacts involved in decision making, ship deployment, food and beverage purchasing, IT, finance, drydocks and refurbs and much more. 42 pages. 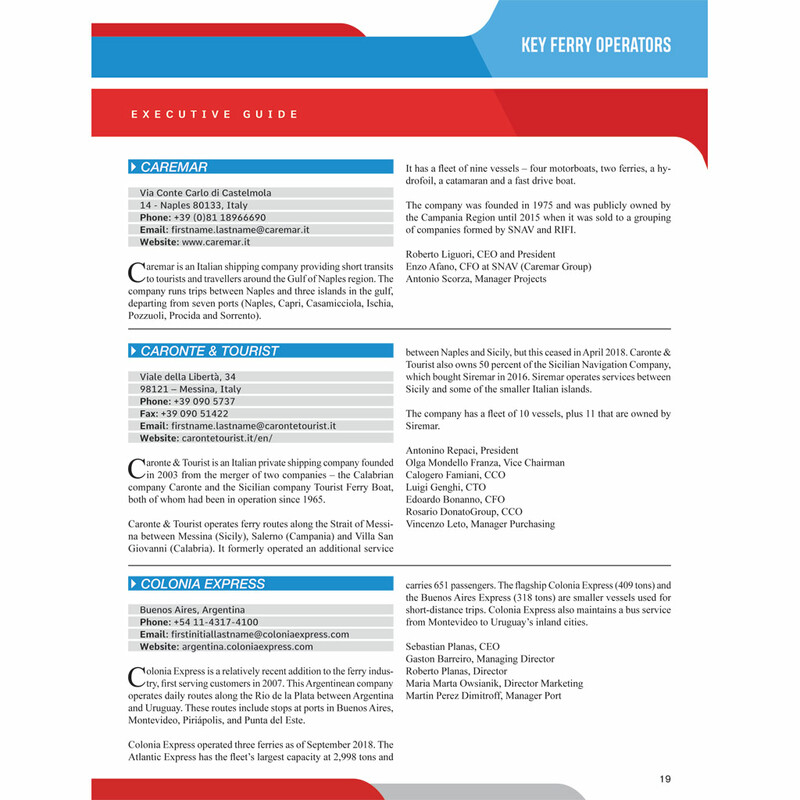 Easy to read format useful for: All decision makers, port executives, suppliers, vendors, agents, anyone who needs to reach key people at the cruise lines. 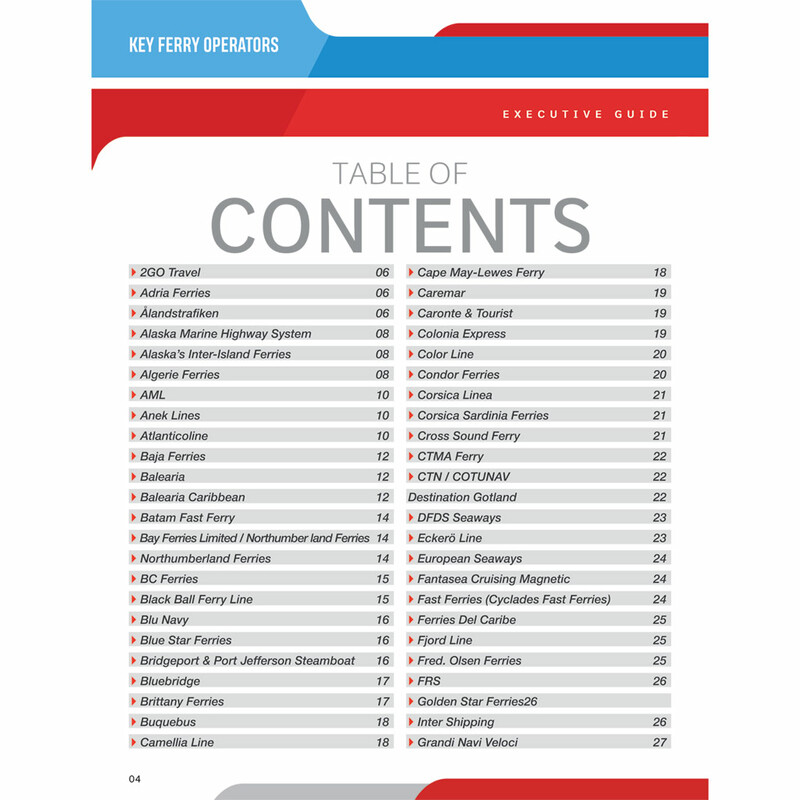 Includes detailed summaries of major ferry operators worldwide.